I know the Konami Code appeals to my inner nerd, but a simple button appeals to my laziness more. I have built this app for everyone else out there that would rather not type in the code every time. DevMode Launcher is a very simple app. Launch the app and click the button. 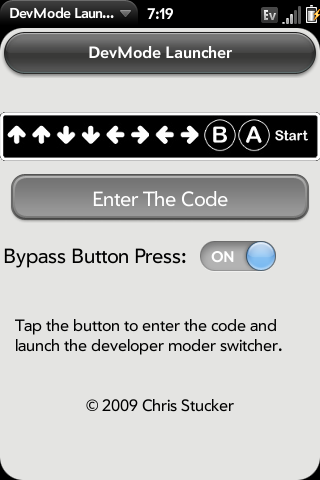 The app will launch the developer mode switcher app so one can enable or disable developers mode.